Yesterday, the US Department of State added four jihadists linked to the Islamic State and another tied to al Qaeda to the list of specially designated global terrorists. The five terrorists come from Britain, Sweden, New Zealand, and Trinidad and Tobago. 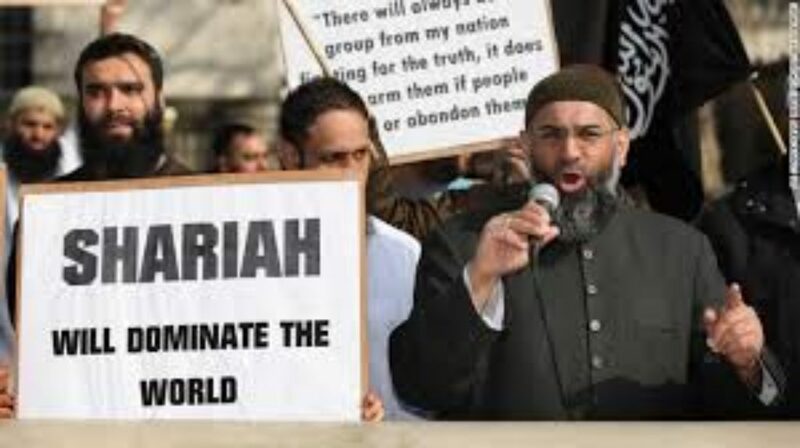 The most infamous is Anjem Choudary, the British Islamist who is directly linked to Omar Bakri Muhammad, and who has formed several radical Islamist organizations, such as Al Muhajiroun, Al Ghurabaa, and Islam4UK, all which have been banned in Britain. He is currently serving a 66 month long prison sentence in Britain for providing support to the Islamic State. Choudary is one of the more prominent Islamists who operate with near-impunity in London. Another terrorist mentioned, Sami Bouras, is very likely the same individual who, according to Mathias Vermeulen, was jailed twice in Tunisia, once in 2003 and again in 2010. Bouras is a Swedish citizen who originally is from Tunisia. He sought asylum in Sweden after being released from prison in 2006. State described him as “a member of AQ and who has been involved with planning suicide attacks.” However State did not indicate where Bouras was operating. State’s brief descriptions of the five terrorists who were designated on March 30 is listed below. El Shafee Elsheikh traveled to Syria in 2012, joined al-Qa’ida’s (AQ) branch in Syria, and later joined ISIS. In May 2016, Elsheikh was identified as a member of the ISIS execution cell known as “The Beatles,” a group accused of beheading more than 27 hostages and torturing many more. Elsheikh was said to have earned a reputation for waterboarding, mock executions, and crucifixions while serving as an ISIS jailer. Anjem Choudary is a British extremist with links to convicted terrorists and extremist networks in the UK, including the proscribed Al-Muhajiroun group. In September 2014, Choudary was arrested for pledging allegiance to ISIS and for acting as a key figure in ISIS’ recruitment drive. He was sentenced to prison in September 2016. Choudary has stated that he will continue his recruitment activities from prison. Sami Bouras is a Swedish citizen of Tunisian descent who is a member of AQ and who has been involved with planning suicide attacks. Shane Dominic Crawford is a citizen of Trinidad and Tobago and is currently believed to be a foreign terrorist fighter in Syria carrying out terrorist activity on behalf of ISIS, including acting as an English language propagandist for the group. Mark John Taylor is a New Zealand national who has been fighting in Syria with ISIS since the fall of 2014. Taylor has used social media, including appearing in a 2015 ISIS propaganda video, to encourage terrorist attacks in Australia and New Zealand. Today’s action notifies the U.S. public and the international community that Elsheikh, Choudary, Bouras, Crawford, and Taylor have committed or pose a significant risk of committing acts of terrorism. Designations expose and isolate organizations and individuals, and result in denial of access to the U.S. financial system. Moreover, designations can assist or complement the law enforcement actions of other U.S. agencies and other governments. How can he operate with “near impunity” when he’s in jail? I am getting a bit annoyed with the Trump administration. islam is not mentioned: it is still “extremism” and it is 5 when it should be 5000 at least. Plus, Andy Choudary is already behind bars, so he was safe. Why are not all former associates of Choudary on the list? The guy did operate with impunity and I always thought that was due to the saner elements in the UK so that his fellow islamists would all stand up to be counted. Tillerson is still talking about “Daesh” and Mattis is saying that islam is being abused by the terrorist.